Please join us for Cocktails & Commerce hosted by Southern Pines Senior Living! There will be beer and wine, hors d’oeuvres, door prizes and lots of networking! 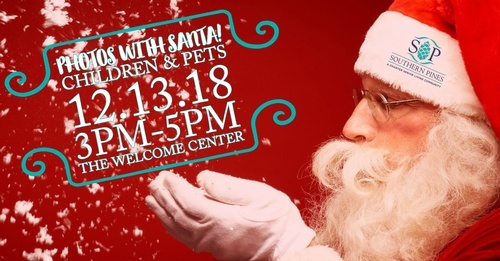 Extended hours for Santa photos will be from 3-5 p.m.